Highlight a content block by framing it! 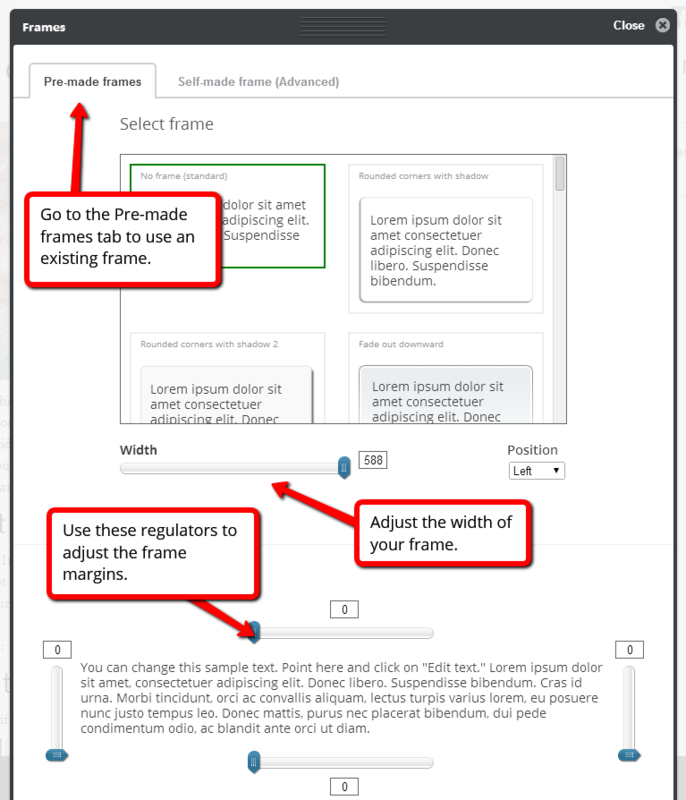 Frames can be used on the blocks Text and Text with image. 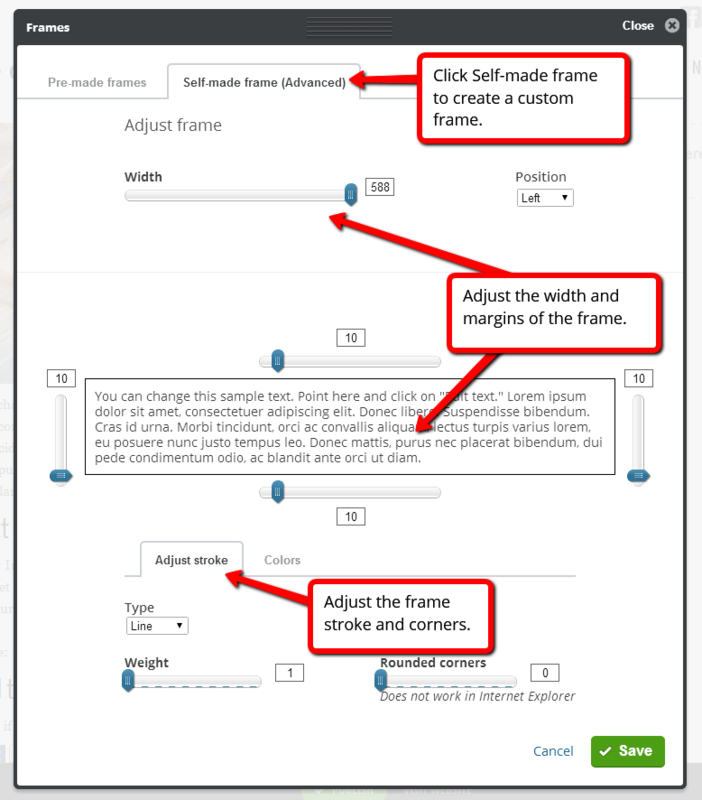 Choose between frame templates or create a custom frame. 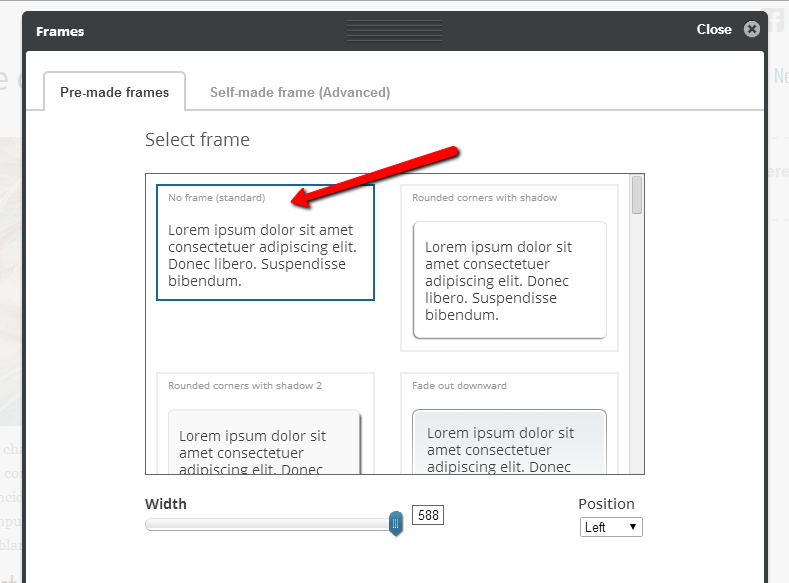 When placing your cursor over a Text or Text with image field, click Manage frame to access the frame panel. 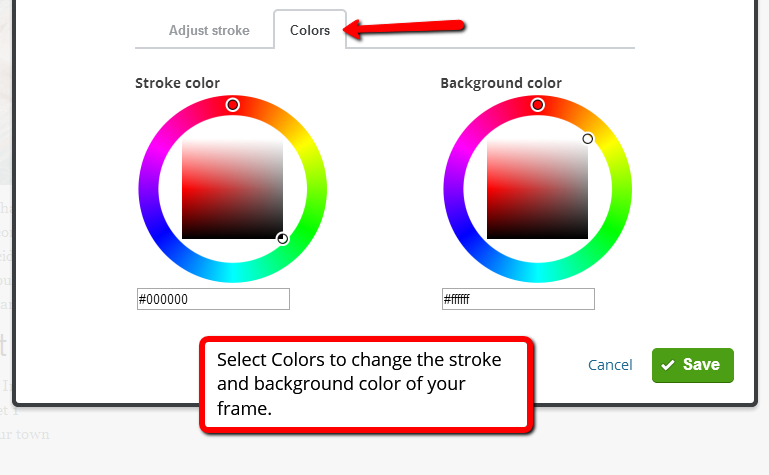 To remove a frame, go to Pre-made frames and select the No frame option.